Brand Analytics - Multi-location reputation monitoring for brands and franchises. If you've got a business with multiple locations, you need an easy way to monitor all of their reputations. Brand Analytics is the only tool made for multi-location reputation reporting. 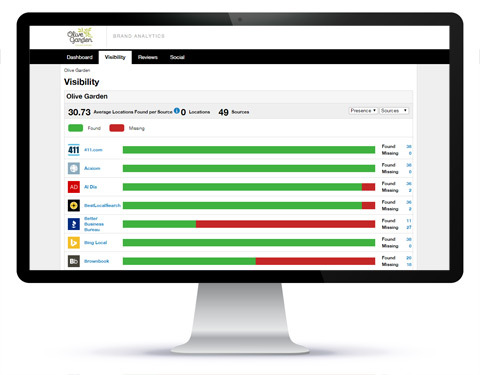 Brand Analytics allows you to understand how your locations are performing on an individual basis. With our interactive wrap-up reports, you can dig down to see the aggregate rating of a particular store over the last month, or see how different regions compare to one another. Our tool also allows you to post to individual social accounts, allowing you to quickly author posts for your all of your stores, certain regions, or individual locations. 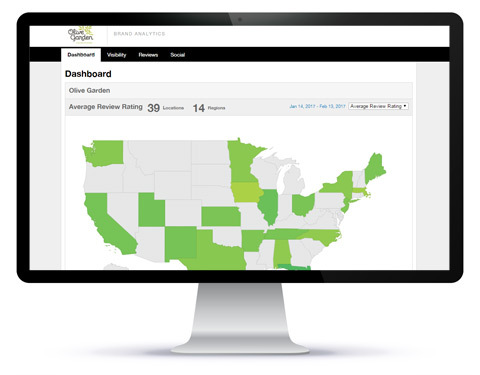 The top portion of your dashboard will give you a visual snapshot of how your brand is rating across the country. 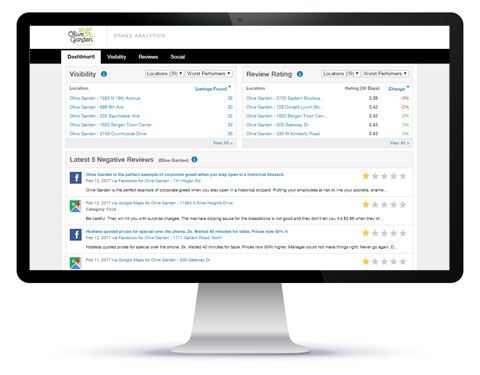 The lower portion of your dashboard will give you a visibility and review rating breakdown per location. 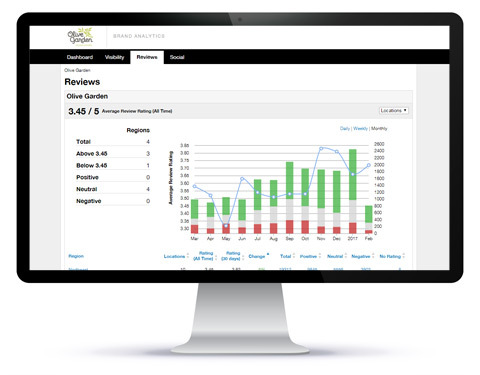 You'll also find your brand's latest negative and positive reviews so you can take action on them. See how and where your locations are listed on directories, review sites and social networks. Visualize improvement over time, and discover which regions and locations are most visible. Check out the latest 1-star and 5-star reviews, compare scores between locations and identify the best and worst performers enabling you to better focus your time and effort. Is there a sale youd like to promote in one territory but nowhere else? 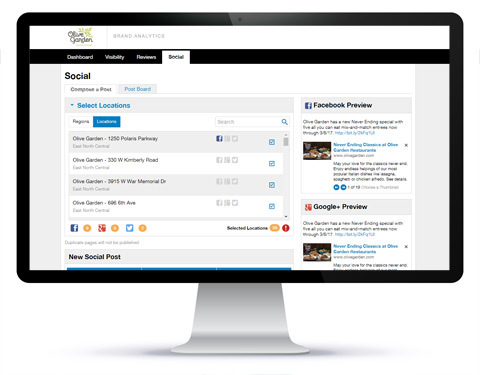 Compose and schedule posts across the right social media channels to individual locations, regions or your entire chain. Your next customer is browsing ? make sure your business is social.